When I think about Bali, I think about beach. Yes, there are so many beaches in Bali that I can choose to visit. So when I plan to visit Kuta Beach, I decide to stay at Best Western Kuta Beach. The location of the hotel is very strategic, about two minutes away from Kuta Beach by foot. It is located in the middle of the various places in Kuta, and nearby Legian and Seminyak as well. It is nice, right? The lobby of Best Western Kuta Beach is simple and minimalist. As I do my check in process, I find out that the hotel has a multifunction lobby, because I can find reception desk, public area and restaurant in one area. The multifunction lobby is just located near the road to the beach, so we can see the people walk to the beach from the lobby area. Very practical area! The process of check in is quite easy and fast. 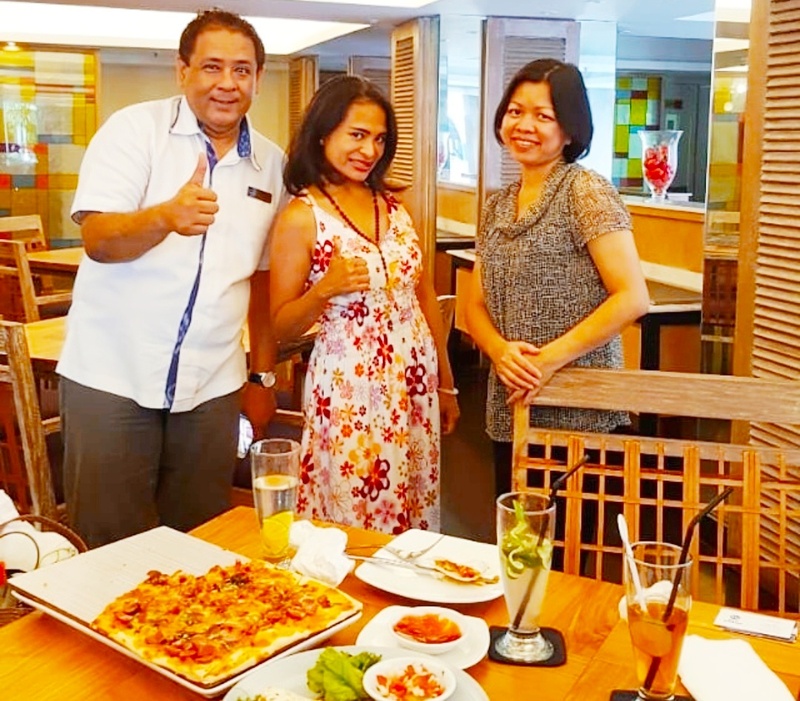 At the lobby of Best Western Kuta Beach, the General Manager of the hotel - Mrs. Marija Tjie and the Director of Sales and Marketing - Mr. Yazid Sidik welcome me personally to the hotel. Wow! It is such a nice and warm welcome! As Mrs. Marija invites me for a lunch at the restaurant in the hotel named Taste Restaurant, I decided to keep my suitcases at the back office. The Taste Restaurant is located at the lobby and just next to the reception desk. It is located nearby the front road where people take a walk to the beach. So they can see me, and I can see them too. LOL! The Taste Restaurant is the only restaurant in the hotel and serves its meals for all day, starting from breakfast, lunch to dinner. It serves local and international food and beverages. 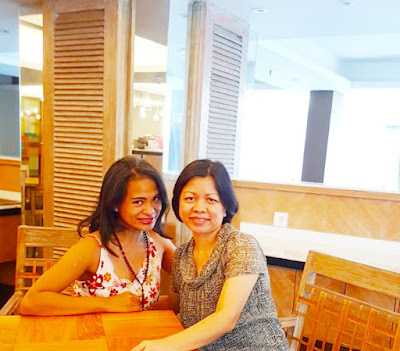 When it is about to order the lunch, Mrs. Marija suggests that the European food in the Taste Restaurant at Best Western Kuta Beach is very recommended. So we order Quesadillas (the food from Mexico) and Pizza (the food from Italy). To accompany the food, I order a hot Cappuccino. The taste of the Pizza is very crispy, thin and delicious! Well, its crispiness is almost right (I say almost right, because I have never tasted the real Italian Pizza), and the topping is very rich. Yummy! The Quesadillas is very healthy as it has vegetables and fresh chicken, and the sauce completes the flavor. Nice! As the conversation continues, we then order Mocktails, such as Virgin Mojito, etc. The Mocktails are good enough to freshen up the mind and body in that hot afternoon in Kuta. After the lunch is over, I walk to my room in Best Western Kuta Beach. Inside the room, it is a surprise for me to receive a jar of happiness in snack and a welcome letter from Mrs. Marija Tjie who takes me as the VIP Guest in the hotel. Wow! Wow! I feel very special. Thank you very much, Madam! It is a pleasure for me to be your guest of honor. Let's talk about my room! My Standard Room at Best Western Kuta Beach is compact and practical. It is good enough for people who want to really spend their holidays in Bali. What else you want during your holiday but a room to shower and sleep after a long day of exploring the beaches in Bali, right? A bed is nicely placed at the side of a window with some artwork on the wall behind the head of the bed. The window gives enough natural lights to the room in the afternoon. A television is located in front of the bed. The frame of the television is very unique in ergonomic shape. I can see a multifunction desk with coffee and tea set and maker, and a compact cupboard located in the right corner near the entrance door. A small holder for suitcase is placed next to the window. Nice things at my room at Best Western Kuta Beach. A simple bathroom in Best Western Kuta Beach is situated next to the entrance door. A shower at one side, and a washing stand and small rack on the other side. The bathroom has a unique sliding door that can close one side and open the other space, and vice versa. This technique is used to save some space in that small area. Very creative I think. You need to see it yourself, okay! At night, I go to the rooftop area in Best Western Kuta Beach to visit Langit Bar and Lounge (Langit is the Indonesian word for Sky). The bar and lounge area is very nice because it has many choices of Cocktails and Mocktails, good lighting, good music and spacious. As the Langit Bar and Lounge is located next to a swimming pool, I then move to the swimming pool side to enjoy the view outside. The swimming pool area is one long area with many chairs on the side. The night sky on the top of the swimming pool area is very clear, and the generous white lights on the trees and surrounding help to build such a romantic mood in the swimming pool area. What a night! In the morning, I have a joy to enjoy the Breakfast Buffet at Taste Restaurant in Best Western Kuta Beach. The taste of all the big food at the buffet, like Porridge, Fried Rice Noodle, Sausage, Fried Seafood, is very savory. This is very good for Indonesian and the rest of the Asian people who like to have some higher tastes in the food they eat. For the people who only like smaller portion of breakfast, they can choose smaller breakfast, like Omelette, Cereals, Bread, Dessert, and many more. If you are on healthy diet, I suggest you to straightly go to the corner where you can find Salad, Fruit, Vegetables and Herbal Drink (Jamu). The Jamu Drinks they provide are Jamu Beras Kencur (from Rice and Kaempferia Galanga), Jamu Kunyit Asem (from Turmeric and Tamarind), etc. Don't forget that your hot tea, hot coffee and cold juice will be served on your table when you want them. Just a good service at Taste Restaurant in Best Western Kuta Beach. After filling my tummy with such great food from the buffet at Taste Restaurant, I go up again to the rooftop in Best Western Kuta Beach to swim and practice yoga. The weather in the morning is very friendly. The sky is bright blue and the view on the ground is very beautiful. I can see Kuta Beach clearly from the rooftop area. This place is also the right place for me to enjoy the sun in the morning. As I see many airplanes fly in the sky, I just realize that I can see the airport runway too. Wow! The swimming pool in Best Western Kuta Beach looks even better in the morning. It looks like a mirror to the blue sky. At the swimming pool, I meet two girls from Canada - Jenn and Gill. They say this is the first time they come to Bali and they have just done holiday tour in Asia. They say they enjoy Best Western Kuta Beach so far, especially the swimming pool on the rooftop area that can give them the access to sun for their sunbathing moment. For the girls who come from a cold country, the sun is like a treasure! We have good conversation about many things, like career, social, etc, and I promise them that I will visit them in Canada. See you soon, girls! After all the yoga practice and swimming, it is time for a big lunch. Because the Italian food at Taste Restaurant in Best Western Kuta Beach is delicious, I order Spaghetti Bolognese and Chicken Fettuccini with Green Tea Latte and Strawberry Latte as the drinks. All is good here! After the lunch is over, I make my way back to Jakarta with a happy heart. What a relaxing stay I have in Best Western Kuta Beach in Bali. I will come back soon ya! Thank you very much, Best Western Kuta Beach, Mrs. Marija Tjie and all of the staffs in the hotel. It is my pleasure to spend my holiday in your hotel and spend my times with you. I have a good time there and would love to see you all again soon! Ciao! 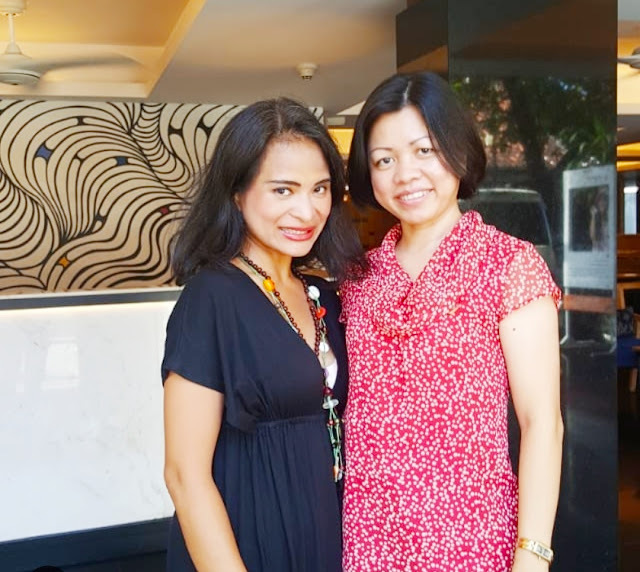 thanks mbak Astrid.... Nice to have you staying here and sharing with you. Success! The pleasure is mine, mbak Marija. Let's plan something more. Hope to see you again very soon!